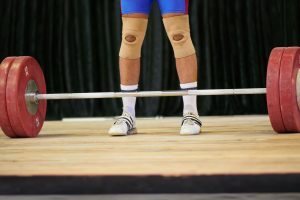 USADA announced today that Carlee Acevedo-Fuller, of Bakersfield, Calif., an athlete in the sport of weightlifting, has accepted a nine-month sanction for an anti-doping rule violation after testing positive for prohibited substances from a supplement. Acevedo-Fuller was selected to submit a sample as a result of being among the top finishers at the USA Weightlifting Juggernaut Summer Showdown. Acevedo-Fuller was subject to testing because the event was sanctioned by USA Weightlifting, which maintains the Lift Clean Program that works to fight doping at all levels of weightlifting competition, from national to local events, through anti-doping education and testing. Acevedo-Fuller, 36, tested positive for 1,4‐dimethylpentylamine and higenamine as the result of an in-competition urine sample she provided on June 11, 2017. Higenamine is a Specified Substance in the class of Beta-2 Agonists and prohibited at all times, while 1,4‐dimethylpentylamine (also known as 5-Methyl-2-hexanamine and 1,4-dimethylamylamine) is a Specified Substance in the class of Stimulants and prohibited in-competition under the USADA Protocol for Olympic and Paralympic Movement Testing, the United States Olympic Committee National Anti-Doping Policies, and the International Weightlifting Federation Anti-Doping Rules, all of which have adopted the World Anti-Doping Code (Code) and the World Anti-Doping Agency (WADA) Prohibited List. During an investigation into the circumstances of the case, Acevedo-Fuller provided USADA with information about the supplement she declared on her doping control form. Acevedo-Fuller explained that she ingested a supplement sample packet, which she received from a trusted source before the competition. USADA confirmed that the sample packet did not list 1,4‐dimethylpentylamine or higenamine. However, the product information online, including the Supplement Facts label, confirmed the presence of prohibited substances in the supplement, and the product was already included on the High Risk List maintained on USADA’s online dietary supplement safety education and awareness resource – Supplement 411 (www.supplement411.org). While all athletes have access to resources like Supplement 411 and the High Risk List, USADA determined that Acevedo-Fuller’s perceived level of risk and subsequent level of care in relation to supplements was reduced due to never having been in the Registered Testing Pool or having received formal anti-doping education. Acevedo-Fuller’s nine-month period of ineligibility began on June 11, 2017, the date her positive sample was collected. In addition, Acevedo-Fuller has been disqualified from all competitive results obtained on and subsequent to June 11, 2017, including forfeiture of any medals, points and prizes.